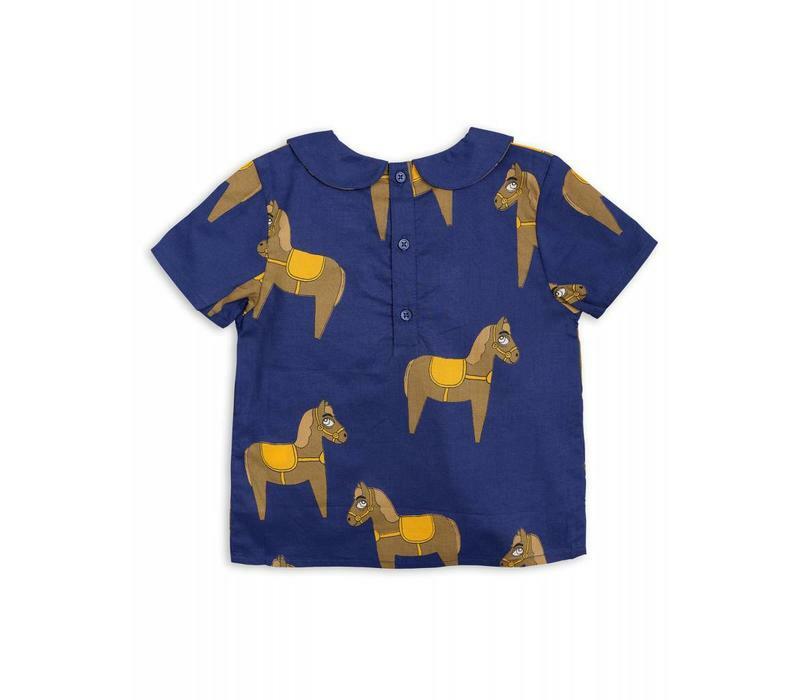 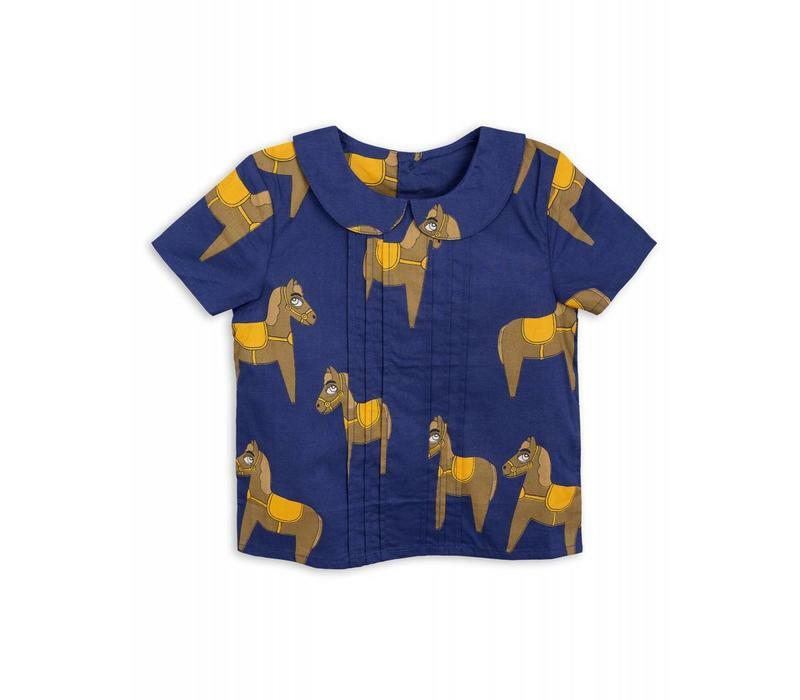 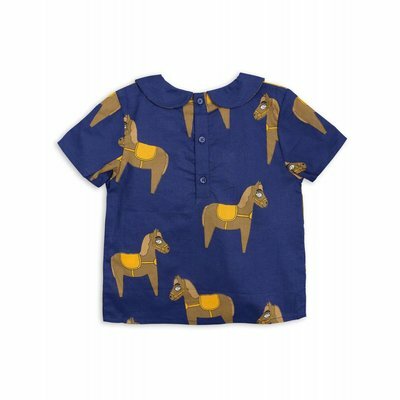 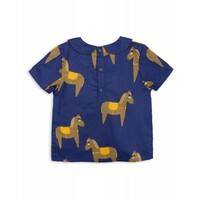 Mini Rodini Top with een allover horse print in dark navy. 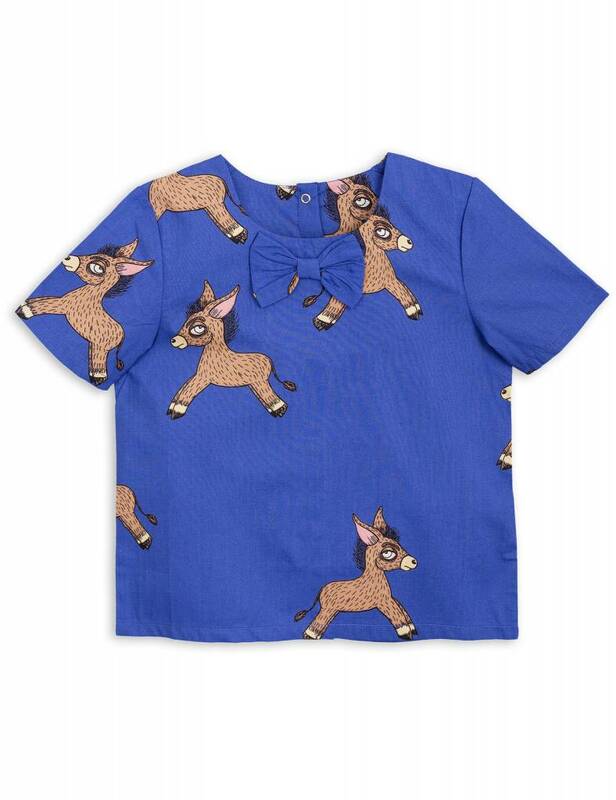 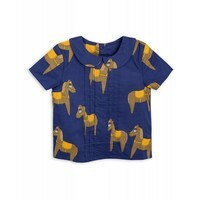 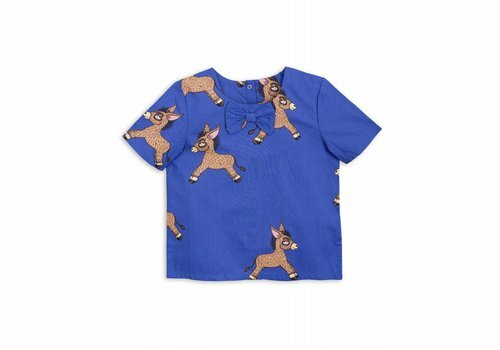 Woven donkey top by Mini Rodini. 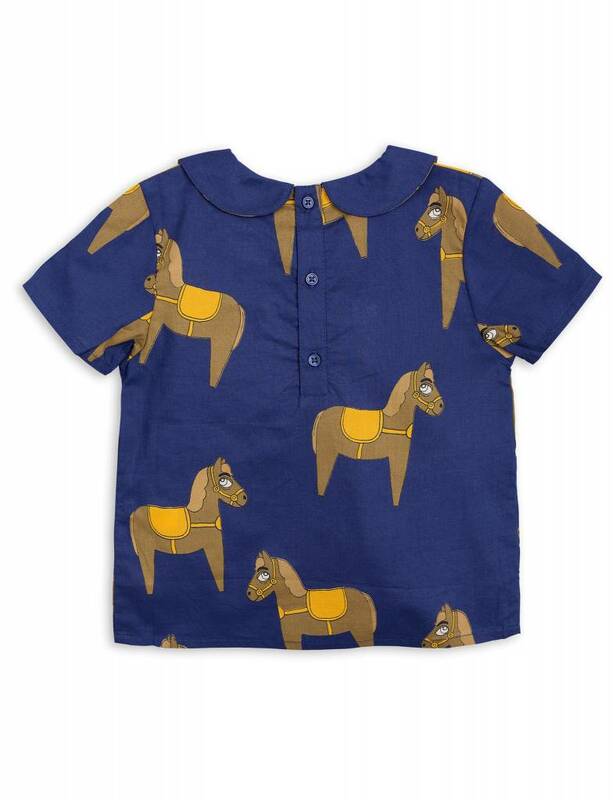 Look at the detail. 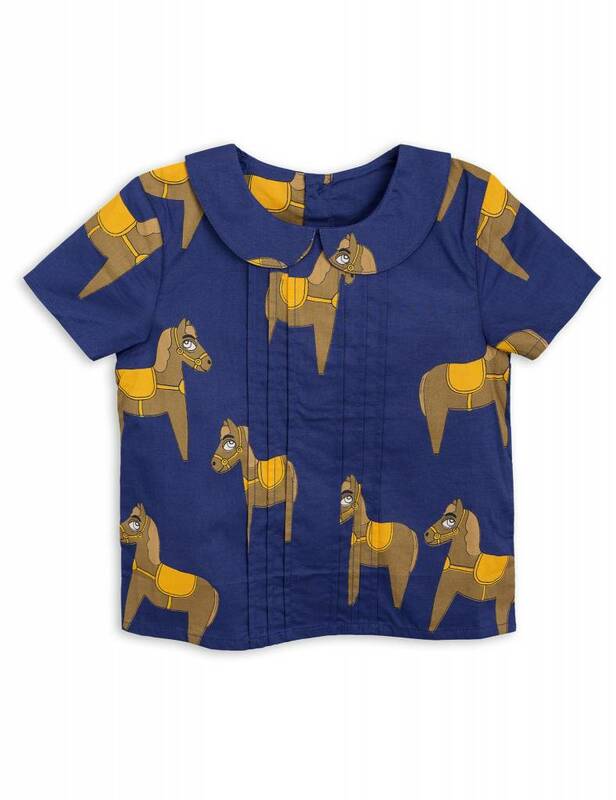 Such a great item.